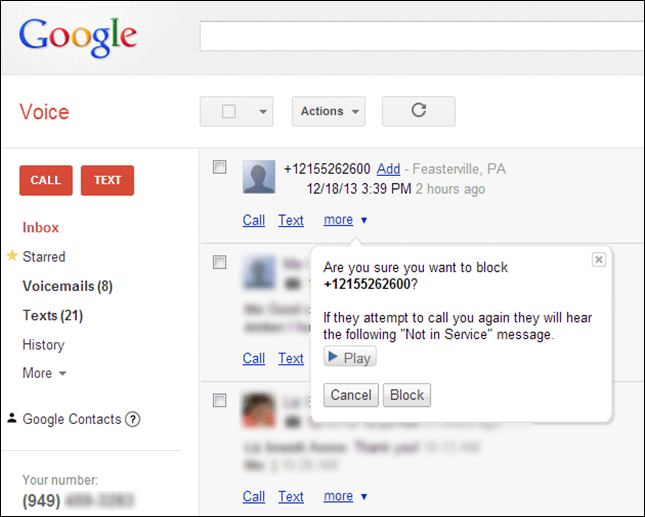 I’ve been on Google Voice for several years, though I only fully committed to it about 3 years ago. “Fully” meaning that I changed my phone number everywhere and started telling friends and family to stop using the ‘physical’ number attached to the mobile. For those who haven’t used/heard of Voice, the basic idea is this – one number for everything. If you call me (my Google Voice number), my home, work, mobile phone and even my computer will all ring at the same time. So no more hunting me down – one number to ring them all! (heh). Plus, all my txt messages are stored in my Gmail account and voicemail gets transcribed to a txt message as well as being attached as an audio file in an email. I’ve even gone so far as to only give out my Google Voice number as my official work phone number. It works great across the board. Now, to the ‘Another reason’ part… A month ago I got an odd phone call from an automated system that claimed to be a law office looking for me. Thanks to 800notes.com, 215-526-2600 turns out to be a scam. They changed their name from “Seiler & Associates, LLC” to “Oxford Law, LLC” as a way of scaring people into calling them back to get harassed for debt collection. 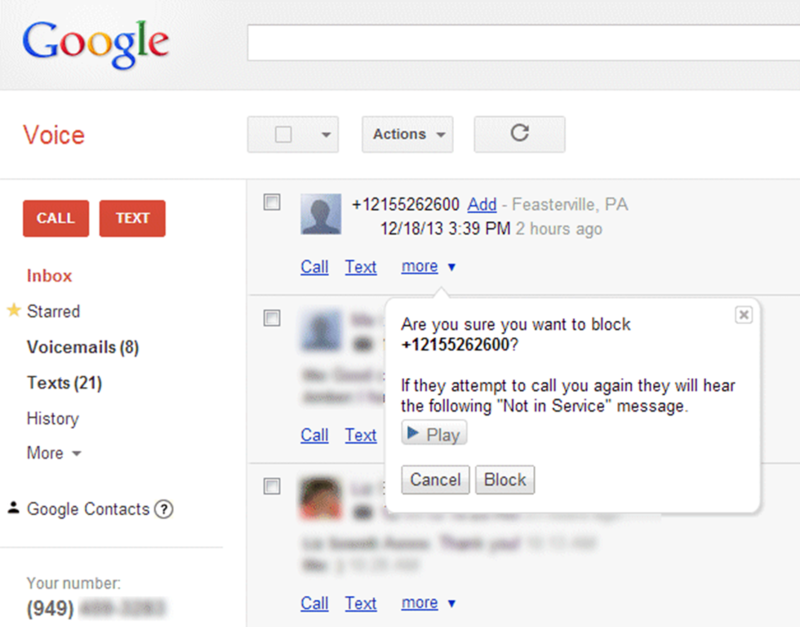 If you want help setting up Google Voice or just have questions, don’t hesitate to call so we can chat.